Mostly cloudy this evening with showers developing after midnight. Thunder possible. Low near 60F. Winds SW at 5 to 10 mph. Chance of rain 60%..
Mostly cloudy this evening with showers developing after midnight. Thunder possible. Low near 60F. Winds SW at 5 to 10 mph. Chance of rain 60%. 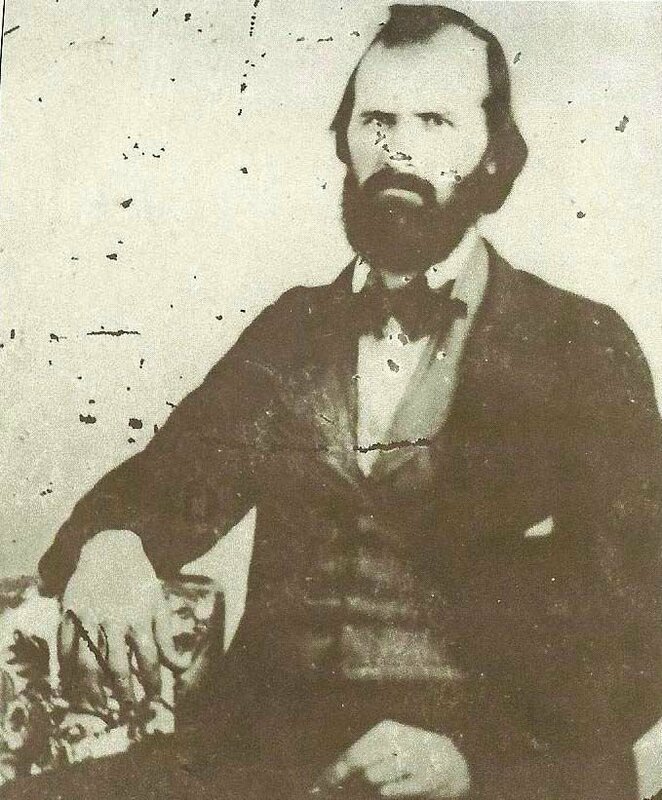 Haden M. Prior, father of John T. Prior and son of Asa Prior, was murdered April 6, 1865, by members of the Colquitt gang between Prior’s Station and Cave Spring. In Part I of “’The Esau of Georgia,’” John T. Prior shot and killed the desperado Jack Colquitt in self defense while attempting his arrest. On April 6, 1865, Haden Prior had gone to visit a Mr. Hampton, who lived between Prior’s Station and Cave Spring. When Haden and his personal slave began to depart Hampton’s home around 10 a.m., they were confronted in the road by three members of the Colquitt gang, Phillips, Montgomery and Bishop. Hampton stood watching as Phillips spoke with Haden Prior. “Phillips then drew his pistol and deliberately killed my father, shooting him at close range through the heart,” John T. Prior said, who did not learn about the murder until later that morning when he returned from a hunting trip. Upon hearing of his loss, John T. Prior saddled his horse, rode to the scene of his father’s death and found out as much as he could about the perpetrators. Once he’d learned who they were, he immediately set off to find and kill them, especially Phillips. Agonizing weeks passed before Prior heard that Phillips lived on a farm in Haralson County and set off with one of his brothers and two friends. Prior and his party reached the Phillips farm about 1 a.m. and lay in wait in the woods for the villain to leave his house at dawn. When Phillips appeared, Prior followed him to a field, where Phillips set to plowing. “He plowed on to the end of the row ... and just as he was going to turn around I stepped out from the woods and covered him with my gun. Prior led Phillips into the woods and finished their business. Accounts of John T. Prior’s story, with differing details, are included in George Battey Jr.’s “A History of Rome and Floyd County” and Larry Carter’s “Polk County, Georgia: The First One Hundred Years,” but only Harper’s article includes the story as told by John T. himself. Prior’s tale lives on, passing down through subsequent branches of the family across the United States. Richard Ferguson, of Anniston, Ala., and Ramie Hartman, of Washington state, both Prior descendants, recall hearing the story many times during their childhoods. In his later years, John T. Prior would go West with his daughter, Anna Lou Prior. Hartman provided the text of a letter from her great-great grandmother, Julia B. Prior, telling of John T.’s final years. “They sold the homeplace at Prior’s and came out (to Oregon) in 1906. They were living with us when Annie (John T. Prior’s daughter) married. She went to Portland then and was there nearly two years. But her father’s health was bad so they came back here (to Roseburg, Ore.), and we lived right near each other, and he lived with both of us. He was so proud of his grandchildren, and they were at his heels all the time.” John T. Prior passed away peacefully at age 70 and was interred at Roseburg Memorial Gardens, Roseburg, Ore.